Tibet is the known as “The Roof of the World” where you will see unique Himalayan people settled around the snowy mountains’ surroundings with their own different identity of culture and society, lush valleys, beautiful landscape. 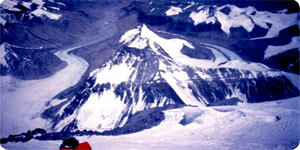 Himalaya Expedition in Tibet is the one of the challenging adventures trips. Since the late 1970s the Chinese and Tibetan mountaineering association have been issuing permits to foreign mountaineers for Mount Everest , Mt. Shisapangma , Mt. Cho Oyu, Mt. Gurla Mandata , Mt. Lakpa Ri , Nojin Kangsang and twenty other summits. The majority of these mountains are part of the high Himalayas between Everest and Shishapangma, though several other interesting 7000-meter and 6000-meter peaks have been opened on other regions of Tibet. Since Tibet Mountaineering association has been open mountaineering in Tibet, Himalaya Journey Treks & Expedition , Nepal operate all major mountain Expedition including Mt. Everest and other popular peaks in Tibet. The facilities of land transportation access to the base camp of these mountains has made Tibet more attractive for mountaineering. Simplified mountaineering rules and regulations for expedition in Tibet add more motivation to the mountaineers for their dream to reach the summit of 8000 meter Himalayas in Tibet. Himalaya Journey Treks and Expedition provides all kind of arrangements to climb these peaks including climbing permission from China Mountaineering association and their requirements of Yaks for carrying loads for expedition, guides, Cooks, Liaison officer, etc and customs clearance facilities.HJT will arrange the Tibet expedition according to clients holiday duration and desire.